"We’re excited to begin our second quarter-century of hosting this outstanding competition for our state’s senior athletes, who take great pride in taking part in this special event"
CHARLESTON, W.Va.--(BUSINESS WIRE)--The 26th annual West Virginia Senior Sports Classic (WVSSC), the multi-sport competition for seniors, will be held Thursday, May 2 through Saturday, May 4, 2019, primarily in the Charleston area. 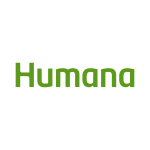 For the first time, leading health and well-being company Humana Inc. (NYSE:HUM) will be the games’ presenting sponsor. Several hundred athletes from West Virginia and beyond are expected to participate, ranging in age from 50 to 90+. They will compete within age groups in 17 individual and team sports, including archery, basketball, cycling, golf, pickleball, racquetball, softball, swimming, tennis, track and field, and volleyball. Medals will be awarded for first-, second-, and third-place finishes in each sport. The public is invited to come watch the competitions, which will be held mainly at venues in and around Charleston. The racquetball competition will take place in Shepherdstown, West Virginia. For more information on the West Virginia Senior Sports Classic, please visit www.wvssc.com or call 304-205-1565. Participation is open to anyone who will be age 50 by December 31, 2019; please see specific registration deadlines at www.wvssc.com. The West Virginia Senior Sports Classic (WVSSC) began in Huntington in 1992 with a few athletes playing tennis and basketball. From that meager beginning, the games have grown to include hundreds of participating athletes. WVSSC is a non-profit West Virginia corporation that is associated with the National Senior Games Association. For more information, please visit www.wvssc.com.